Yes, I roast and freeze the Anaheim’s. The rest of the peppers I typically dehydrate, I slice them up and when done dehydrating, I put them in a mason jar with the lid and ring. They will store for years, and rehydrate easily when ever I need them. I only harvested the larger ones, there are many more still on the plants. The plants are about waist high to me, I don’t think I’ve ever seen the peppers do so well. 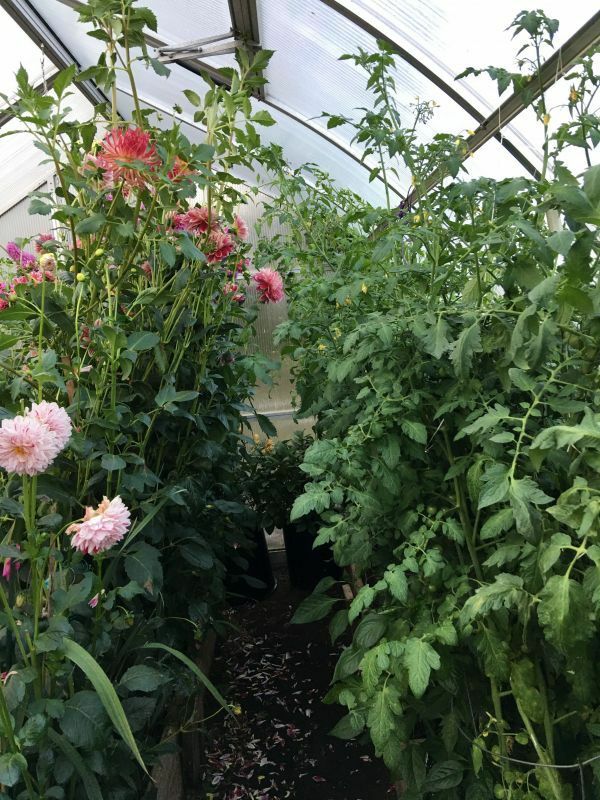 In fact the tomatoes and flowers are doing very well too. 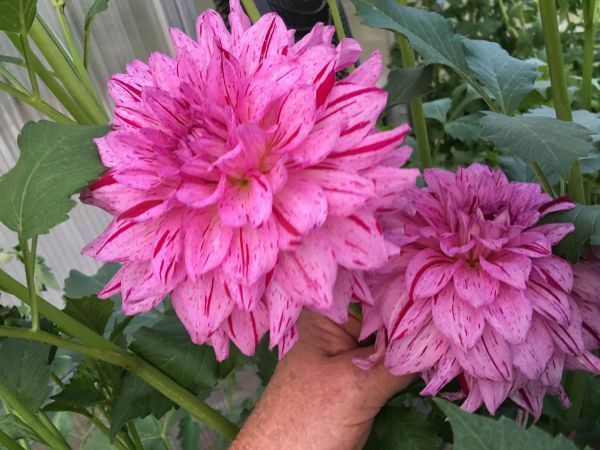 Maybe I just have more time now to give my gardens more TLC. 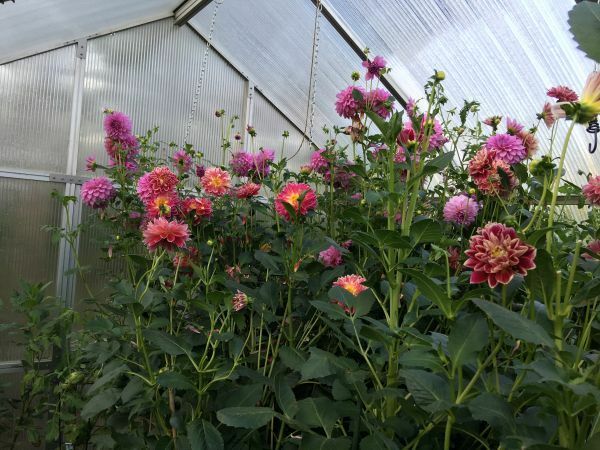 Your gardens make my heart sing! 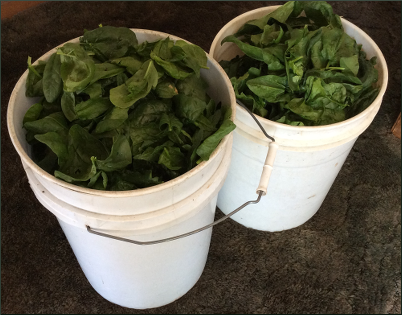 Spinach, washed several times and picked over, ready to can. I got 13 pints from this. 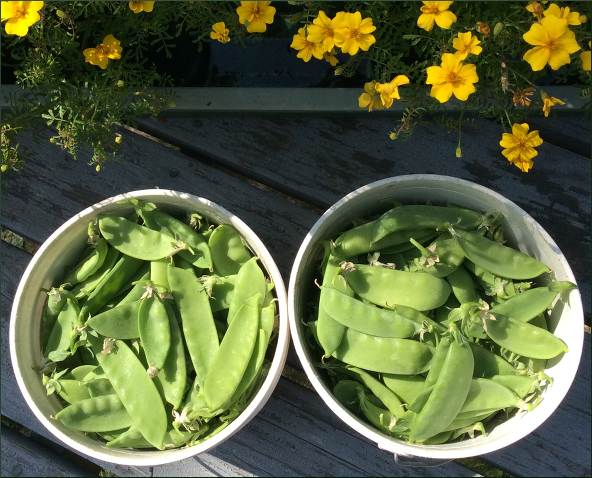 Pea pods I picked this morning. I've already canned 15 pints of cut up pods. These are gallon pails, not my 5 gallon pails, the image doesn't show the smaller size. 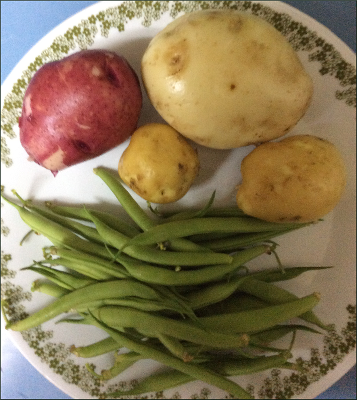 And I picked the first of my green beans and "snuck" some potatoes for supper. And the bad news is another pocket gopher moved in. I just can't seem to find his tunnels this time. He really likes my herbs, unusual for any critter. Nice start to your harvest TillerBee!! I love this time of the season! 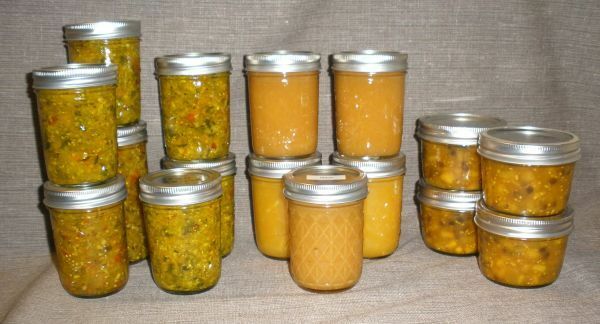 I too have been preserving garden goodies, mostly freezing peas, broccoli, tomatoes & squash. Plus this week I canned my first batch of relish of this season. I'm having good luck with cukes this year! They are a pickling variety (which seem to grow better than slicers at my altitude). Here's my relish and what's left of the peach jam and peach chutney. I took a photo of an afternoons harvest a couple of weeks ago. I thought I had already posted it, but I don't see it anywhere. So Sorry if this is a repeat. Please post your harvest and/or preserving photos. I think we all want to see them. Nice harvast! The brocolli looks yummy. And tomatoes, I love to pop the cherry tomatoes right off the vine into my mouth, they taste so sweet don't they? Question, you freeze your tomatoes? I've never done that. Are they better to use that way? I agree on the cucumber type, the smaller pickling ones do grow better up here. "what's left of the peach jam and peach chutney", ahh you've been sampling the fruits of your labor. I think anything you preserve yourself tastes so much better because you yourself made the effort to can or freeze it. Looks likes you are having a fine year, CooknThyme. I too want to see how everyone else is doing this year. 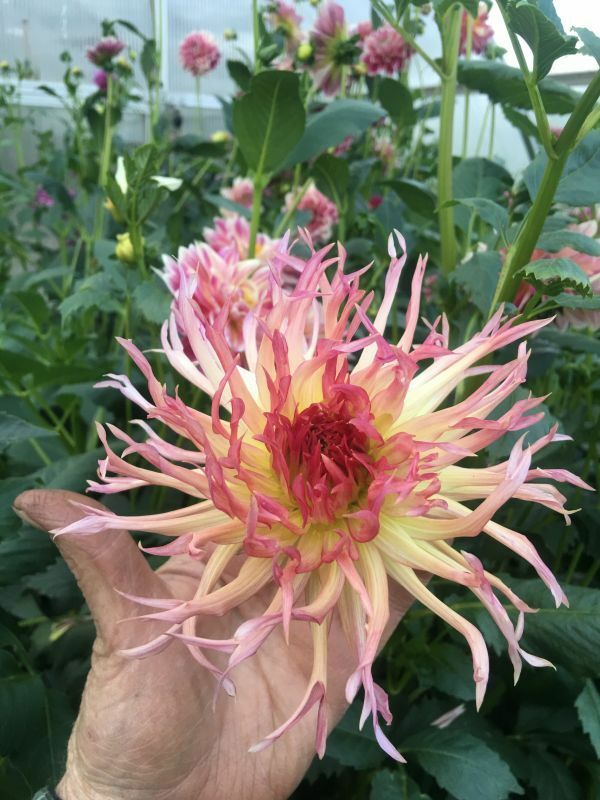 It's so inspiring what gardeners up here can accomplish, in spite of the altitude, weather, and critters. That makes what we harvest so much more satisfying, I think. Question, you freeze your tomatoes? I've never done that. Are they better to use that way? It was born out of necessity as I do not have (nor do I want) a pressure canner. Plus I like that I can leave the skins on (that's where the best nutrients are) and they are not cooked yet. I'm not a big fan of cooked tomatoes, so mostly I use them in my dog's vegi mix. But I'll also add some to chili, curry sauce or a SW chicken dish I like. I detest all Italian-type tomato sauces but I suppose you could make something like that from the frozen maters too. In previous years, I would put whole cherry tomatoes in quart freezer bags and larger tomatoes I would core and quarter. 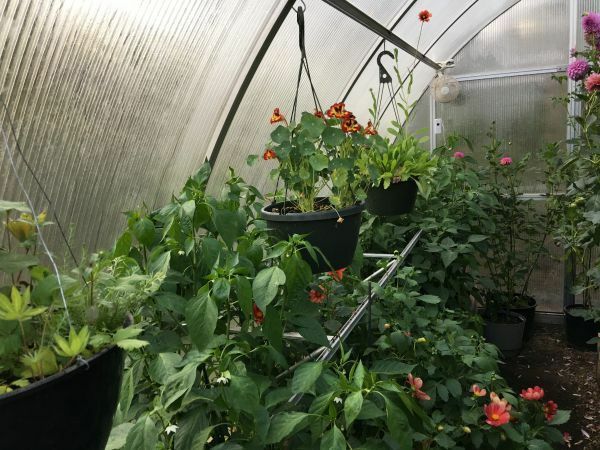 This year I am juicing some of the maters first and pouring that in with the whole/quartered maters to eliminate the air gaps. The only jam (or relish for that matter) that I will eat is what I make myself of made by a trusted friend. My jams have very low added sugar as I use Pomona pectin. I always make big batches because they make awesome thank you gifts. I love jammin'!! So much fun playing with interesting combos, like F.R.O.G. jam (fig, raspberry, orange & ginger) and some of my standard blends like blackberry rhubarb, mix berries, spiced ginger peach, etc. Interesting webpage. 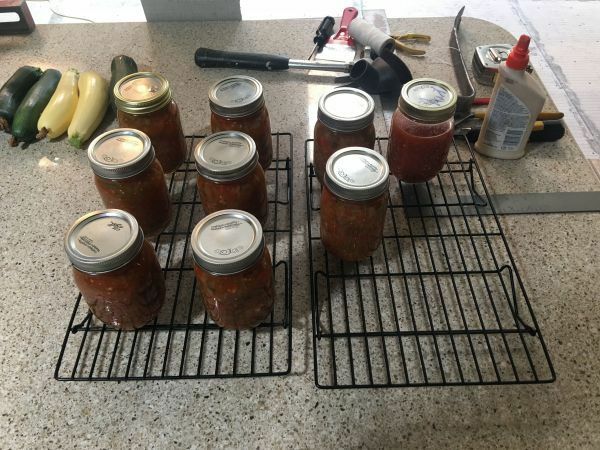 I remember back east when I had a zillion tomatoes and canned them, I did add juiced tomatoes to the quarts rather than water. Then, when I used the jar of tomatoes, I would first drain the tomato juice into a glass to drink. I sure miss tomato juice! So, filling the bag's air space with tomato juice should work great for you. The biggest problem would be if a filled bag wasn't sealed quite fully. I learned from sad experience freezing turkey broth about what a mess that would create. Liquid can escape in great quantities from even the smallest opening. So, filling the bag's air space with tomato juice should work great for you. The biggest problem would be if a filled bag wasn't sealed quite fully. I place bags with liquid into a recycled plastic dish until frozen. I too have had accidents. 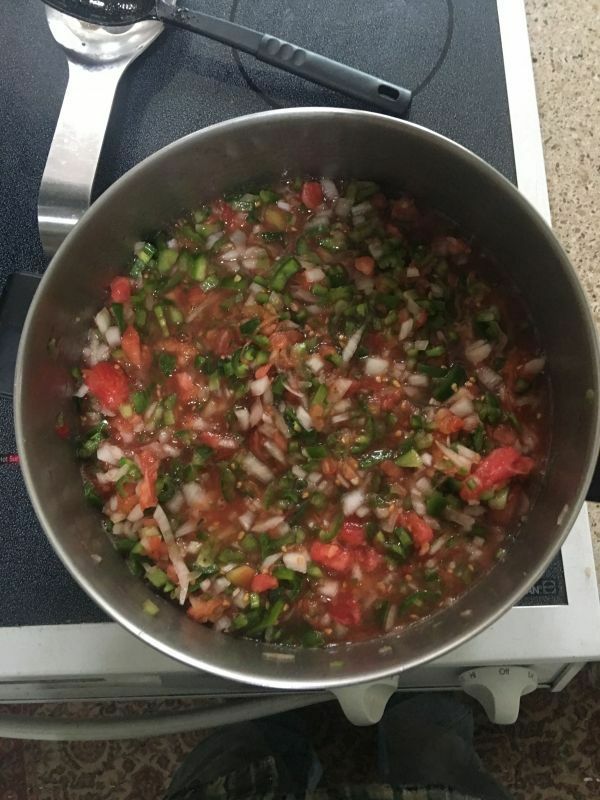 I canned a batch of salsa this morning, I have a jar that wasn’t al the way full for taste testing later today. All ingredients came from the garden except some of the onions, I didn’t have enough. Excuse the tools in the background, I am putting a tile floor in my living room, the stuff that looks like wood planks. Nice looking salsa Mr Hermit!! Those would not last long on my pantry shelves!